As usual, I plan to spend a good deal of time reading this summer, the time of year when I tend to do the most of it. And what better subject than woodworking? Here’s what’s on my reading list for this year. Frankly, this will be more a course of study than a reading exercise. I’ve been using SketchUp on an elementary basis for several years, but I’m not getting the full power of it. SketchUp has the ability to help me model alternative designs before I make them and I want to put that to work. 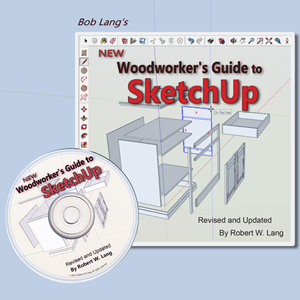 So I’m planning to work my way through the CD and do the exercises so I really learn how to make SketchUp work for me. Over the years I’ve learned a lot about wood and its characteristics as a furniture-making material, but there’s always more to learn. This book has long been recognized as the Bible on wood and I’m hoping it will fill in gaps in my knowledge and perhaps rectify misconceptions I may have. This won’t really be as much of a reading exercise as an opportunity to luxuriate in the rich array of detailed drawings of furniture, woodworking tools of the 18th century and woodshops of the time. I’m looking forward to parking myself in an armchair and smiling my way through this wonderful volume. With its emphasis on restoration this promises to offer a different approach to woodworking than I’ve taken. While restoration doesn’t fit into my plans (as of now), there’s always more to learn about woodworking and I’m anticipating the opportunity to stretch my mind with this beautiful book. This (possibly out-of-print?) book is an outstanding resource on classic American furniture styles and the construction methods to replicate them. 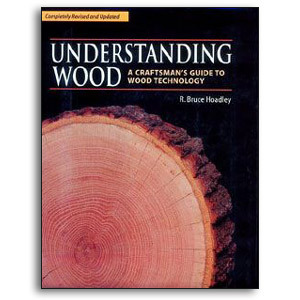 I’ve already read part of it but I want to work my way through the remainder to advance my knowledge of traditional woodworking methods. Will I be able to finish all this? It’s hard to say, but I’ll certainly give it the old college try. If not, I’ll have some things left over for my winter reading!